“We received report na they will make harassment in line with their anniversary on March 29, kabalo man ka basta anniversary nila mohimo-himo sila og mga gimmick nga ipaulaw ang mga estasyon,” Police Regional Office-7 Director Chief Superintendent Debold Sinas told reporters. 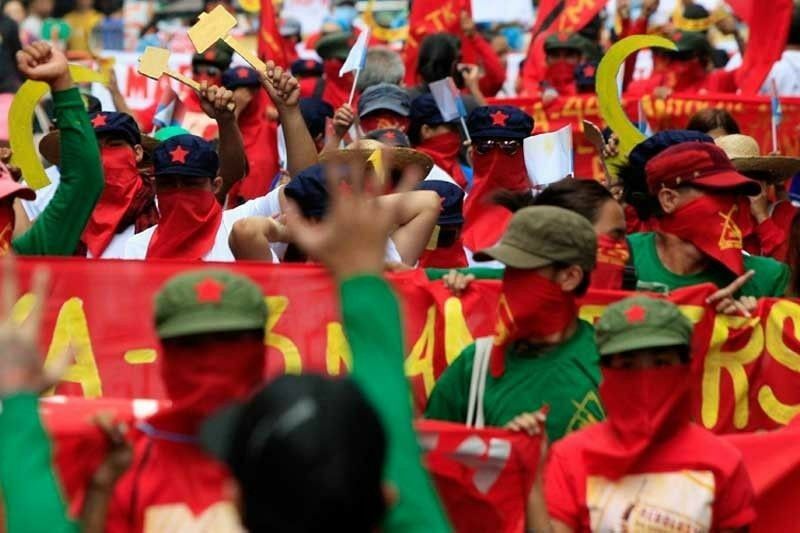 CEBU, Philippines — After monitoring threats, Red Alert status will be implemented in Negros Oriental in line with the 50th anniversary of the New People's Army on March 29. Sinas said more policemen will be deployed as additional forces due to previous reports of harassment. “We will be reinforcing our police stations, we will be alerting it and declare para hulaton namo if naa bay mahitabo. We will be having offensive, kanang magpatrolya nato para maka-pepare, di na namo sila huwaton nga moadto sa among estasyon diba?” he said. Meanwhile, Lieutenant General Noel Clement, commander of the Armed Forces of the Philippines Central Command, said that no threats were monitored in Negros Oriental or for the region. He assured they will remain vigilant and take precautions. They are also ready to raise their alert status if the need arises. “I have directed all my units to be proactive by conducting patrols, gather intel information on enemy plans and engage stakeholders to prevent the NPA from celebrating for 50 years of extortion and destroying the lives of the people,” he said. AFP-CentCom spokesman, Major Abel Potutan, urged the public to cooperate. “Amo lang gipanawagan ang atong mga kaigsuonan nga maging vigilant ug padayon silang mag-cooperate ug mo-participate sa mga security forces sa pagsumbong ug pag-report sa ilahang namatikdang dili mayo o suspicious sa ilang lugar,” Potutan said. To recall, last December 18, deputy chief of the Guihulngan Police Station Senior Inspector Porferio Gabuya Jr. was allegedly shot dead by members of the communist kill squad Special Partisan Unit (SPARU). On March 7, Senior Police Officer 2 Humprey Teves was also targeted by the kill squad but managed to fight back and kill one of them.